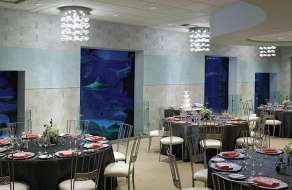 Our catering team will design a fully customized culinary experience which will create long lasting memories, whether your event calls for intimate cocktail parties or dinners well into the thousands, we do it all. We offer creative banquet catering for all occasions, from an intimate plated dinners to expansive buffet lunches or themed receptions. Successful events are the result of compelling details. To arrange for catering for a party or event, contact the Catering Department at 702.632.7470. 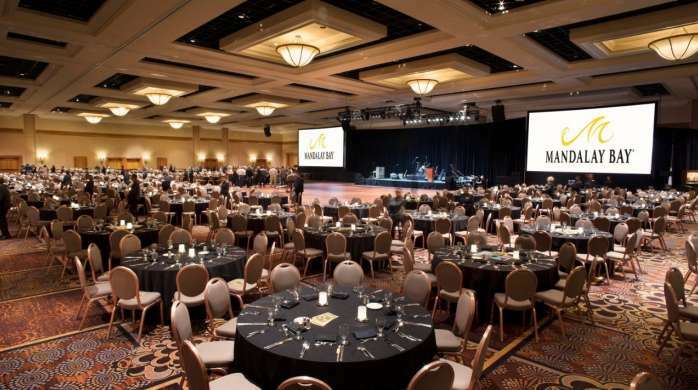 Mandalay Bay offers unique locations to host your events for all sizes. Food can be the finishing touch on the perfect ceremony. 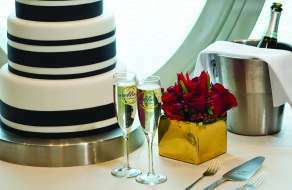 We offer Wedding Receptions and Wedding Cakes. 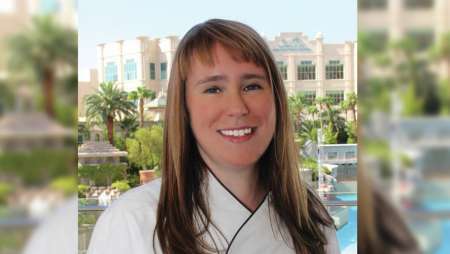 Susan Wolfla, our Executive Chef, brings a wide range of experience to the Mandalay Bay culinary team. She graduated with a BS in Cell & Development Biology from Purdue University and an AA in Culinary Arts from The Culinary Institute of America. After graduation from culinary school, she received a lead position at Chef Jean Banchet's Ciboulette in Atlanta. She went on to become Executive Chef of the 4-star Northern Italian Restaurant Benvenuti. Always up for an adventure, Chef Wolfla moved to the Bahamas and was Executive Sous Chef at the world-famous luxury resort Atlantis. She went on to executive positions at Little Dix Bay in the Virgin Islands and the Las Vegas Venetian Resort, and finally made her way to Mandalay Bay. Mandalay Bay is proud to be the Las Vegas home to many of the world's best-known chefs. 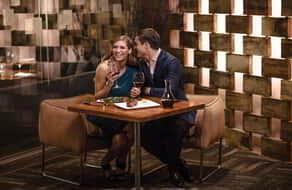 Thanks to their unique flavors and styles, we are able to offer a restaurant dining experience unlike anywhere else on Earth.